The weather forecast for the weekend called warm temperatures and moderate to light winds, which the 26 competitors were looking forward to. Marc Jacobi held an informative pre-racing clinic on the Friday before the event for both new RS Aero sailors and experienced RS Aero sailors looking to shake out the cobwebs. Participants learned a lot and the warm temperatures, moderate breeze and warm water were ideal. While there were competitors in all three rig sizes, the predicted light winds did have many sailors switching up to a larger rig size. It is worth noting that in the RS Aero 5 fleet were two O’pen Bic sailors, Caroline Locke and Alice Leroux, showing us older sailors a thing or two out on the course. Saturday dawned with calm winds and a short postponement onshore, but once the scout RC boat reported five knots in the racing area, the fleet launched with cautious optimism about the conditions. 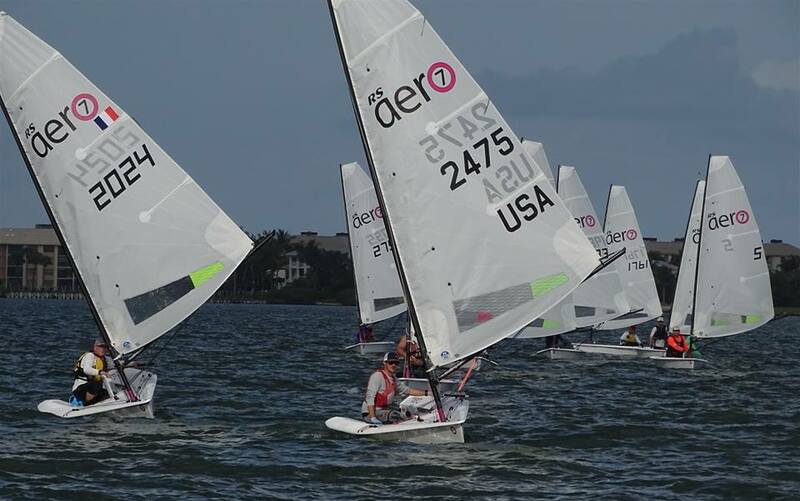 After a sail across the Indian River and Intercoastal Waterway to the racing area, the breeze did steadily build to nice conditions. The RS Aero 9 rigs were really showing their superiority in the light stuff but new Aero sailor Ralph Kinder in a 7 rig was consistently near the top, often making his time and beating the 9 rigs on corrected time. Saturday dinner was catered by Santos Wood Fired Brick Oven Pizza at the US Sailing Center Martin County. The general consensus was that the food was delicious, leaving just enough left over for lunch on Sunday. Sunday’s forecast was for very light winds so the race committee decided to send the fleet straight out from the center. We need not have worried, as the breeze built nicely with partly cloudy skies. Three more races, in addition to the five completed Saturday, wrapped up the series for a win for Marc Jacobi overall. Hank Saurage, sailing a 9 rig this weekend, was second and Ralph Kinder, sailing a 7 rig, was third overall and first 7 rig. Top of the RS Aero 5s was Caroline Locke, competing well with the larger rigs. Many thanks to the US Sailing Center Martin County for their excellent hospitality and to KO Sailing for their support of the event. A stand out fact at this regatta is the notable increase in participation at 26 boats, including several junior and female competitors. Truly, the RS Aero class is taking off in the US! This regatta backed on to the North American Midwinters nearby at Palm Beach the following weekend. 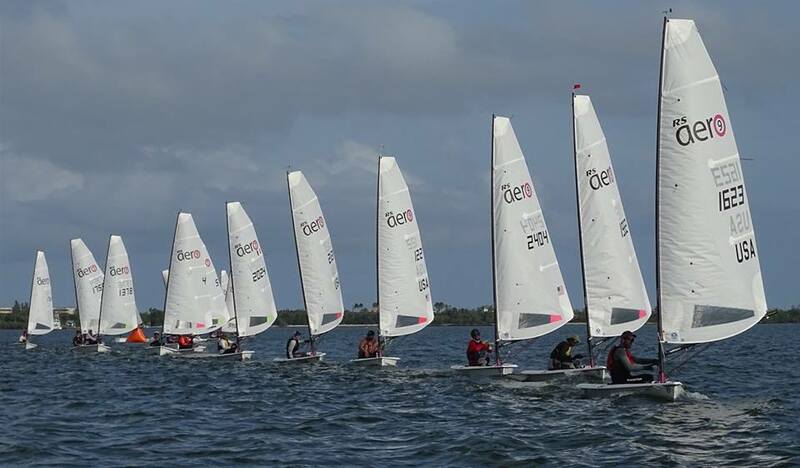 Next up on the US Winter Series is another set of back to back weekends in March at Port Canaveral on 8-10th and then Sarasota on 14-17th, ideal for the long distance travellers looking for good racing and winter sun! Full details and info on Charter RS Aeros are on the RS Aero North American Events List. For an alternative account of the Florida State Champs check out the Aerobian Blog by Tillerman, having flown in from the frozen north east.